December 19th, 2018. 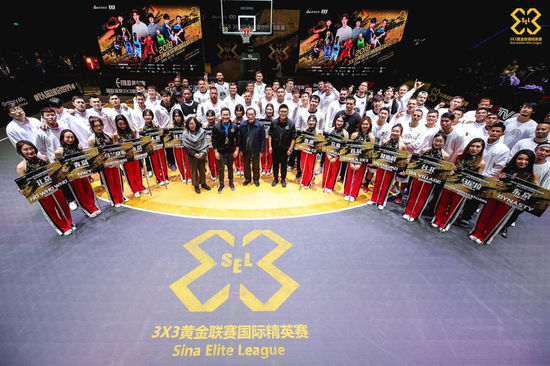 BEIJING – The inaugural Sina Elite League (SEL) was successfully held at M-Space, Beijing over the last weekend. Liman, FIBA’s #2 ranked team representing Serbia, claimed the championship title of Sina Elite League 2018 after defeating the dark horse team of the tournament, Inanomo from Russia, with an easy win of 21-6. Team Liman took home over $24,000 prize money and a Samsung Galaxy A9 smartphone for each player courtesy of our event sponsor Samsung. Inanomo, FIBA’s 19th ranked team from Moscow, upset world No. 1 team Novi Sad Al-Wahda in a tight semi-final match by the score of 21-19, and finished third in the competition. 3Ball New Yorkies from the United States claimed the 3rd runner-up of SEL 2018. Popular artist, Mike Angelo along with Chinese entertainment celebrities, Fan Cheng Cheng and Yu Hao Ming, were invited as special guests for the Slam Dunk and 3-point contests. The 3-day premier event generated over 370 million topic views on Weibo. It was broadcast live in 35 territories, including all countries where participating teams’ are from: beIN Sports Asia Pacific and Middle East (Townsville, Hong Kong, the United Arab Emirates), Fox Sports Asia Digital (Taipei), Solar TV (Manila), SPO TV (Seoul). Additionally, SEL was streamed live on the Sina Sports official Facebook page, Twitter and Weibo accounts, covering Asia, North America and Europe regions. As an extension of Sina Golden League (SGL), the Sina Elite League (SEL) features 11 top-level teams from New York, Moscow, Tokyo, Seoul, Abu Dhabi, Liman, Ulaanbaatar, Townsville, Manila, Hong Kong and Taipei; and the top five teams from the Sina Golden League Finals 2018. 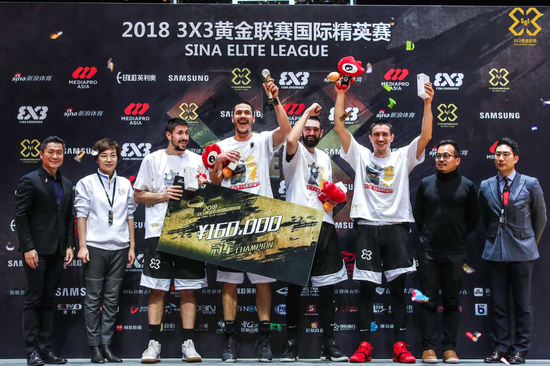 With the participation of many of the top 20 FIBA-ranked teams, Sina Elite League represents the highest level of 3x3 Basketball. As the major broadcaster of SEL, beIN Sports has reached 31 countries in Asia and MENA regions. As for Asia, beIN Sports has coverage of over 80 million households and 22 million subscribers, including Australia, New Zealand, Hong Kong, Indonesia, Malaysia, Brunei, Thailand, Cambodia, Laos, Singapore and Timor Leste; while in MENA, beIN Sports is available in 20 countries covering Algeria, Bahrain, Djibouti, Egypt, Iran, Iraq, Jordan, Kuwait, Lebanon, Libya, Ethiopia, Sudan, Morocco, Oman, Qatar, Saudi Arabia, Syria, Tunisia, United Arab Emirates and Yemen. Along with the 3BALL USA partnership, the event was live on Twitch through a US-based personality. The broadcasting deals were brokered by Mediapro Asia. In early 2018, Sina Sports signed an official strategic partnership agreement with Mediapro Asia, the Asian arm of the Barcelona based Mediapro Group, a world’s leading communications and production company and sports media giant in Spain. 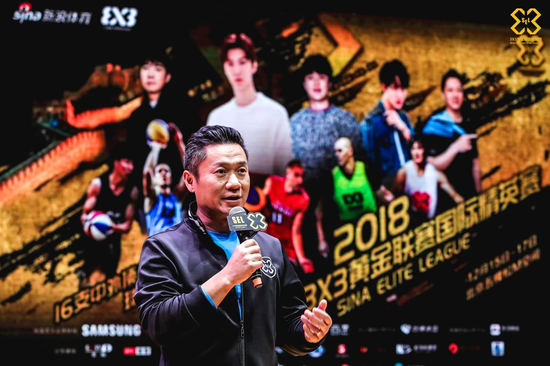 The five-year partnership sees Sina Sports appointing Mediapro Asia as the exclusive media rights agency and commercial rights agency of Sina’s Golden League basketball tournament. 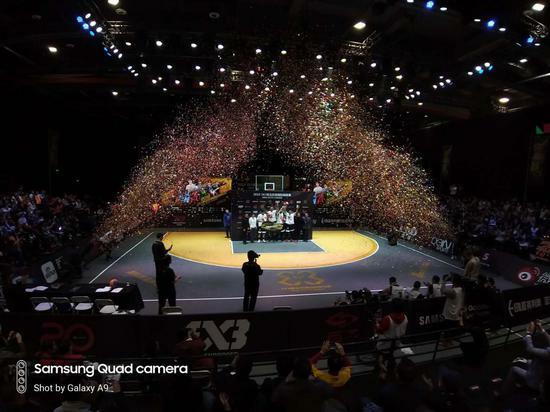 Through this partnership, the 3X3 Golden League becomes China’s first mass participation event to reach the global rights market, to commercialize on a global basis and to hold events outside of China.